GoPro Fusion just got a major update that increased the resolution to 5.6K at 24fps (it was previously 4992 x 2496 at 30fps). There were other major improvements including to the desktop app. See the details here. The update was unexpected because of the somewhat recent layoff of Kolor staff back in September. The most recent update until then had been in May 2018, and the Fusion’s Android app languished with important missing features (can’t export 360 photos or videos to the album, no overcapture). 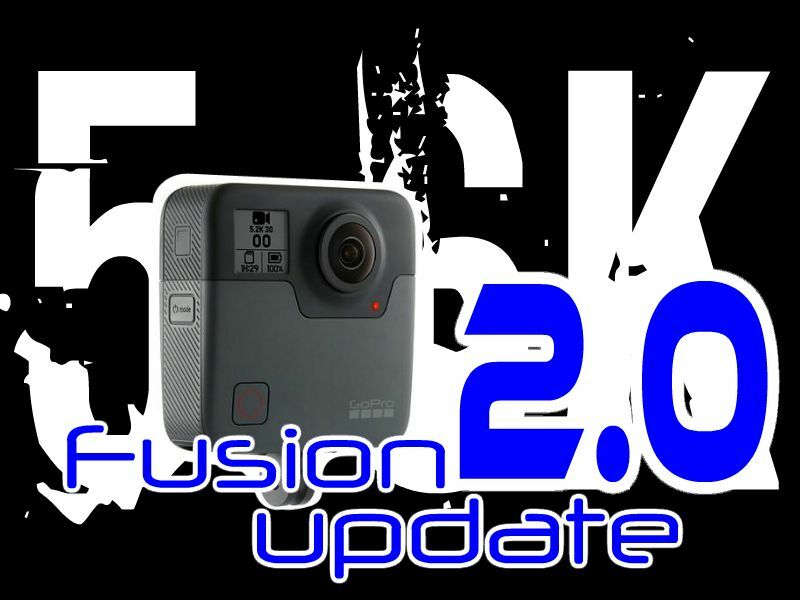 There was an impression that GoPro was going to cease updating the Fusion. Hopefully, this major update shows that GoPro does intend to stay in the 360 industry and that the Android app will finally be completed. In the meantime, I will post a comparison of the updated Fusion against the Insta360 One X (reviewed here) and Rylo (reviewed here), which also had received an update that increased its resolution from 4K to 5.8K. Will the Fusion’s increased resolution put its video quality further ahead of the One X and Rylo? We’ll see! Thanks to Mark Edden for bringing this to my attention! I don’t understand this and rylo’s resolution updates. Did they use a “lower” resolution due to software limitations, or processing capabilities? Which is the upper limit that 360 cameras (mijia sphere, Insta360 one x, rylo and fusion) can reach by hw specs? This is great news – I look forward to trying it out. Apart from some overheating issues I’ve found the Fusion to be a good quality workhorse, and a lot of the time the best image quality, in the smallest package, with the shortest minimum stitch distance is what I need. NOTE: Just started the install process and 2 things might help folks – 1) you need to have 2 cards in the camera even though it’s only the card in SD1 which needs the f/w bin files, 2) the bin files need to be in the root directory of the card – don’t put the ‘UPDATE’ folder in the root (this is normal for most camera f/w updates but some might lose a bit of time so thought I’d mention it). Mine needed the bin files to be in the UPDATE folder. Camera didn’t “see” the files when they were placed directly into the root.